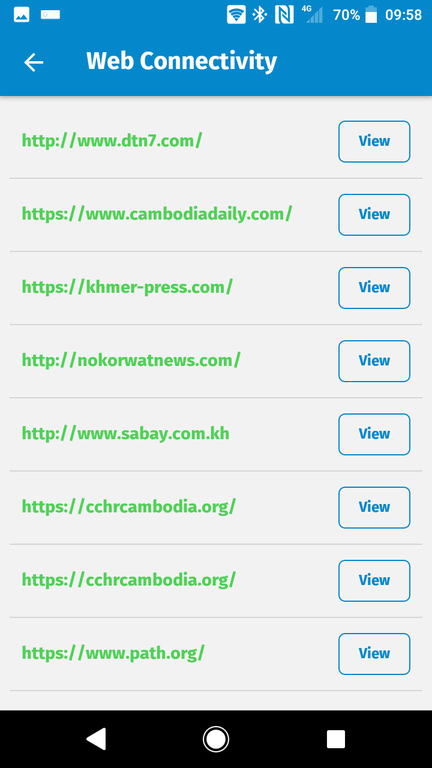 Collaborative effort to test and collect Internet censorship evidence during Cambodia's 2018 Elections. 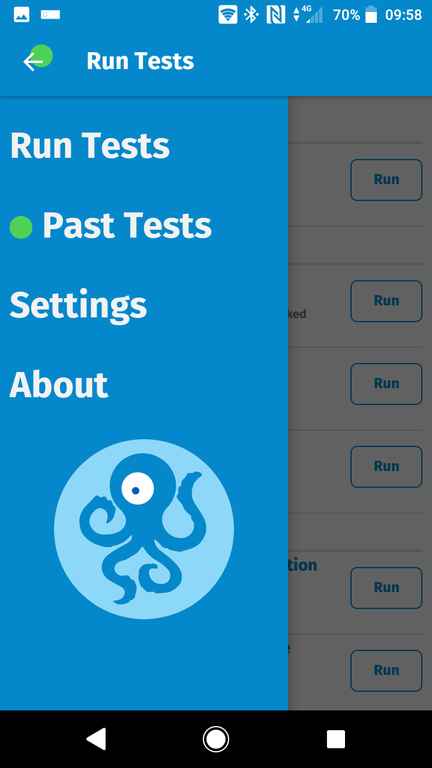 You can also generate your own set of links to test at run.ooni.io to share with your networks. 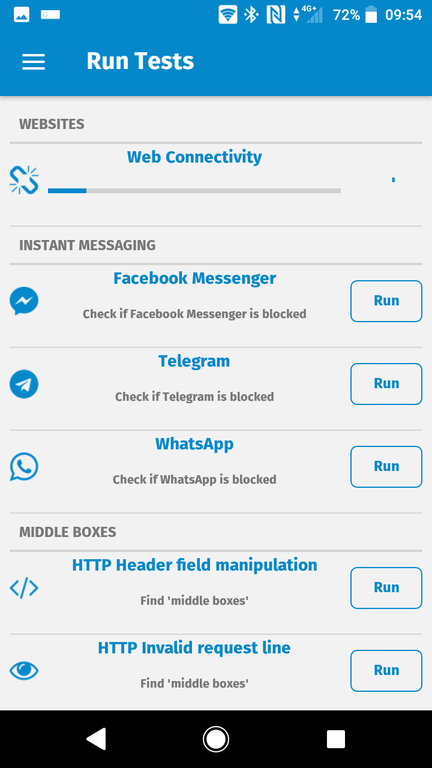 After clicking the link on your mobile phone, you should be able see a screen like this and a big blue Run button. Clicking on this will run the tests. To check results. Click on settings menu on top left, and select Past Tests. The most recent tests are at the top. Sites that tests show as being suspected of being blocked will be listed in red. 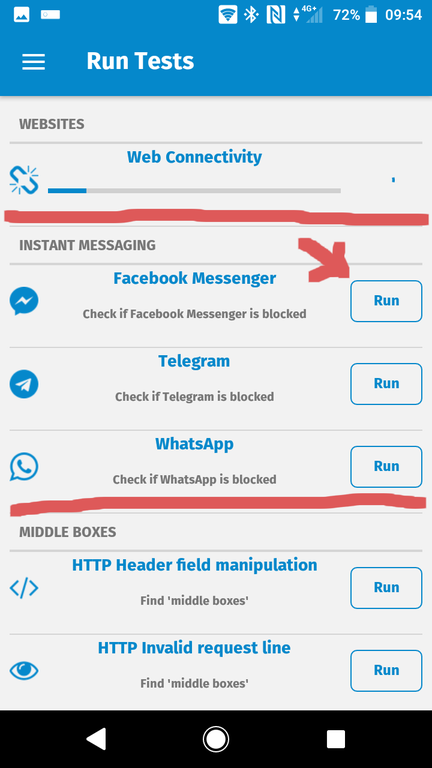 If you suspect that instant messaging is being blocked, you open the app and select to run specific tests for Instant Messaging.